Our company is born and raised in Torremaggiore’s countryside, which is a little town located in the middle of the Capitanata’s plain, between Dauni mountains and Gargano promontory. Its microclimate, its fecund land and its citizens’ hard work make it become a land with a prosperous agriculture, whose products are well known and preserved from centuries. 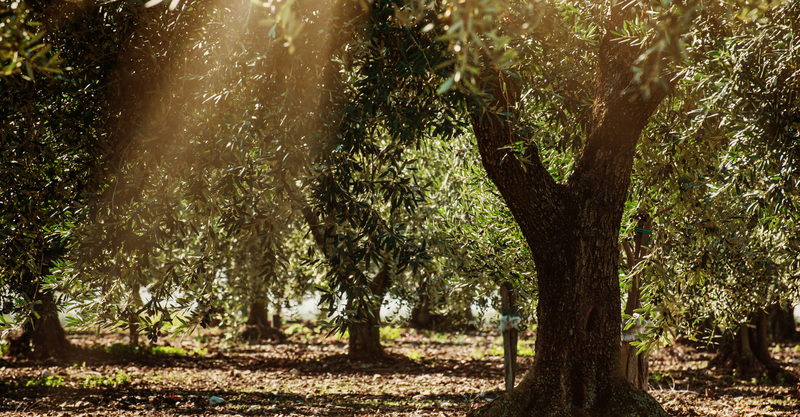 From olive oil to wine, from tomatoes to wheat, from vegetables to fruit: since always Apulia and Capitanata are famous worldwide thanks to the fruits of their lands. Torremaggiore’s origins also dates back to the year 1000, when the farmhouse named Terra Maggiore was part of the feud of the nearby Benedictine Abbey of Saint Peter. The bitter fights unleashed between the Papacy and Manfred of Swabia, after the death of Frederick II, led to the destruction of Fiorentino and Dragonara on October 26th, 1255. The survivors from the two cities, settling in the shadow of the Abbey of St. Peter, near the Norman-Swabian Castrum, now incorporated into the Ducal Castle, gave life to today’s old town of Torremaggiore. Over the years several noble houses followed in Torremaggiore, until the lineage De Sangro, descendants of the dukes of Burgundy, who ruled the village until 1806. Over the centuries, the De Sangro, have deeply and visibly marked the history of this territory: it is mainly due to them that we owe the prosperity of Torremaggiore agriculture, as well as the presence, in this Alta Daunia’s area, of the Peranzana Cultivar, imported to Torremaggiore from Raimondo De Sangro, directly from the French region of Provence from which derives the dialect distortion “Peranzana”. Michele De Sangro, the last Duke of Torremaggiore, was also the first to introduce in Apulia region, and to plant for his own use in Torremaggiore, in the Trappeto (olive mill) located in the moat of the castle, the fire mill and the presses to draw the oil. An extravirgin olive oil is a fundamental element of the Mediterranean diet, recognized worldwide for its beneficial effects on health. Epidemiological studies have shown that extravirgin olive oil, as a cornerstone of the Mediterranean diet, protects the body from oxidative stress, it is associated with a lower risk of developing cognitive impairment towards Alzheimer’s disease and also plays a key role in reducing the incidence of neoplasms. Originally this action was only attributed to the high content of monounsaturated fatty acids, recently the importance of the minor constituents such as β-carotene, α-tocopherol and polyphenols was also considered as equally important. The phenolic compounds of the olive oil carry out powerful anti-inflammatory actions and this information leads us to hypothesize that a constant use of extravirgin olive oil with a high content of polyphenols, and for a high content of polyphenols we mean a value higher than 250 mg/kg, has a constant anti-inflammatory action on chronic inflammation and as such it also plays a preventive action on some pathologies such as cardiovascular, neurodegenerative and neoplastic. As we know, the organism naturally defends itself from the free radicals induced by oxidative stress but, after exceeding a certain limit, the intervention of exogenous antioxidants is necessary. The main ones are: polyphenols, vitamin A and C, α-tocopherol and other microelements such as zinc and copper. The extravirgin olive oil, which possesses several of these, also performs an effective antioxidant action when used in a complete and balanced diet like the one proposed by the Mediterranean diet. A particularly interesting study has been carried out with the oleochantal, a phenolic compound present in the extravirgin olive oil. The incubation of neoplastic cell systems with the phenolic compound, and in the absence of serum, allowed to highlight cell necrosis after 30 minutes of action.